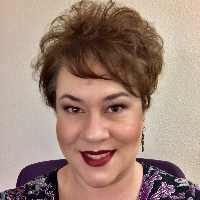 I am a Licensed Marriage and Family Therapist in California with over 10 years of experience working as a behavioral coach, mental health counselor, a Christian counselor, and a community psychotherapist. I have worked with clients with a wide range of concerns including stress, anxiety, depression, abuse and trauma, bipolar disorders, PTSD, AD/HD, and schizophrenia. During this time, I have helped people with grief and loss issues, life transitions, relationship roles, and learning coping and social skills in general. I have also worked for several years with people who prefer a Christian counselor and I am well-versed in the Bible and can include this in your therapy if that is your wish. I respect all peoples' beliefs and I don't press my beliefs on others. I have successfully helped people from all religious and philosophical backgrounds find mental health. As a therapist I have taught clients how to change their irrational and maladaptive thoughts into helpful and realistic ones, and have taught them to manage difficult feelings using distress tolerance, processing thoughts that lead to painful emotions, relaxation techniques, mindfulness, meditation, and grounding. My clients learned how to set goals, learn problem-solving skills, assertiveness and communication skills, as well as conflict-resolutions skills to assist them with their relationship issues, parenting problems, career challenges, educational difficulties, issues with self-care, and motivation to complete activities associated with daily living. Clients with Bi-Polar and depression disorders will learn skills most helpful for managing their moods and routines to gain stability. Anxiety is common with more and more Americans, and I can assist with teaching my clients techniques to relieve various anxiety issues. I am trained to treat people with trauma symptoms regardless of a PTSD diagnosis or not. My clients, who experience Schizophrenia symptoms most benefit from therapy when they are regularly taking medication and working closely with a psychiatrist. My counseling style is genuine, nurturing, and encouraging, kind of like a fun-loving aunt or older sister. I believe that you are the expert in your life and you deserve to be treated with respect, be treated with empathy, and be understood as you unpack and explore difficulties and distressing feelings. My approach combines interventions and therapy styles from Cognitive-Behavioral type therapies, Humanistic/Existential type therapies, and Attachment theories. I will collaborate with you, coach you, actively listen to you, cheer you, and celebrate with you as we develop your treatment goals and the skills needed to help you to achieve wellness. It can be hard to look at our lives and see any positives at times. Talking to a counselor or therapist is one of many powerful and impactful steps you can take to start a journey that can potentially help you become a better version of yourself. Just imagine what life would be like if you could decrease the amount of time you felt sad or worried, or how you could learn skills that would improve your compassion toward others or be able to respectfully say "no". Wouldn't it be wonderful to be able to change negative attitudes and stop thinking that you are no good or unlovable? It takes courage to seek a more fulfilling and happier life, especially if those around us are toxic or have their own struggles. You are brave, you are precious, you are cherished, and you deserve mental health. If you are ready to take this journey, I am here to help you discover the power of lasting change that you have inside of you. Natalie is the best. I really feel like she knows what she’s doing and she makes me feel better about life. Natalie is a sweet and very understanding therapist. I love the fact that she has sent me documents and worksheet to help me understand certain things better. She responds fast and is very accommodating when it comes to schedule appointments. I loved talking to Natalie. Helpful advice that is easy to incorporate into your life. Very positive and affirming. She has been a very big help to me and I would strongly recommend her for whatever the problems that you have. Natalie is patient, sweet, and understanding. I’d recommend her to anyone and everyone! Natalie has been so helpful, insightful and overall really great. This was a really terrific match for me. She’s really great and understands what you go through. She might start little by little but progress will be made. Natalie is very caring and sweet and you can tell she wants to help in every way possible. I’m sure it’s hard to counsel people online but I do feel like she does a phenomenal job with it. I would definitely recommend her to others! Natalie McBroom is absolutely fabulous! She offers great council and helps reenforce my positive values. She is awesome and I feel like she gets me and understands my immediate concerns and helps me see the future. Would you like to write a review for Natalie McBroom? We'd appreciate if you can spend a couple of minutes to write a short review for Natalie McBroom (MA, LMFT). This review would be shared with Natalie McBroom. It may also be posted in our website or in Natalie McBroom's profile but it would be anonymous and your identity would be kept completely confidential.